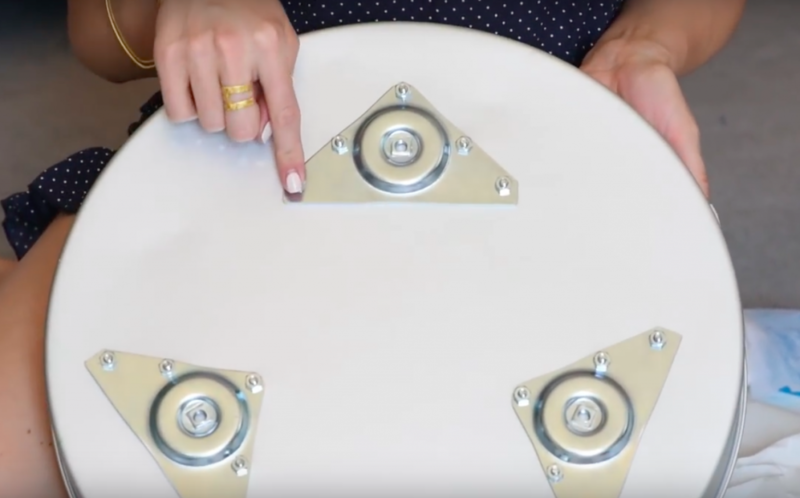 If you are looking for the perfect DIY side table, look no further. This table is chic and beautiful and of course, 100% DIY. The fact that a cake pan is one of the key supplies also makes it a conversation piece that will impress even your judgiest friends! The first step is staining the legs. Don’t worry if you don’t look THIS cute while you do this! DRILLING HOLES IN A BUNDT CAKE PAN IS ALSO A GREAT WAY TO UPCYCLE AND DECORATE. CHECK OUT THIS FUN DIY, TOO! 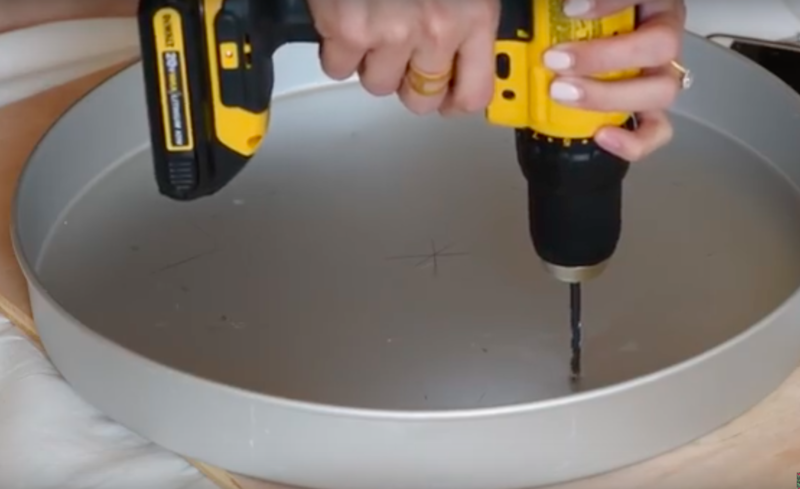 While the legs are drying, you will be drilling holes into your cake pan. Be sure to place a piece of wood underneath it to be sure you won’t dent the pan. Line up the screw plates, mark your holes and get those holes drilled. Once the holes are drilled, screw in the plates. Here is what it will look like.